HT ceramic – no perceivable changes. But still special. 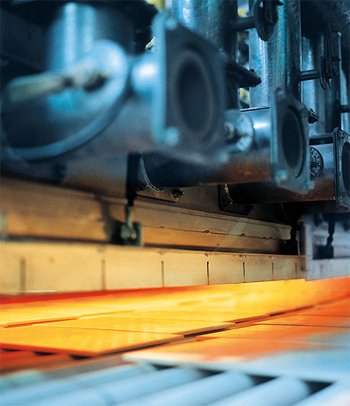 During the production process, the HT coating is bonded permanently at a high temperature with the tile surface – making it practically indestructible. This is even covered by our unique long-term guarantee! The positive tile properties are retained. Ceramic tiles for walls and floors have always been extremely durable and long lasting displaying a wide variety of outstanding product features. They are safe as they do not emit any pollutants and are particularly uncomplicated in terms of care and maintenance. Nor does the HT coating change any of these positive attributes. The light-activated catalyst titanium dioxide is a harmless and naturally occurring substance. It is a component of toothpaste, food and medication, for example. In the factory, it is permanently burned into the glaze at a high temperature thereby bonding firmly with the tile surface. HT is permanently burned into the surface.